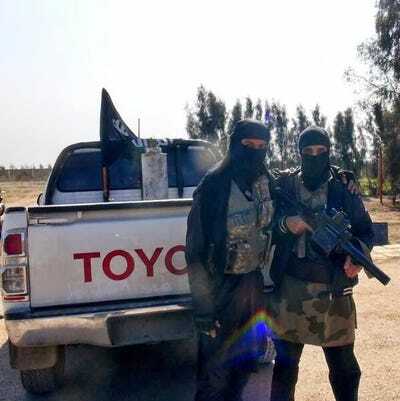 The Islamic State of Iraq and the Levant (ISIS) rakes in over $US1 million a day and commands “a volume of resources and territory unmatched in the history of extremist organisations,” according to Janine Davidson and Emerson Brookings of the Council on Foreign Relations. The Al Qaeda splinter group has massacred members of Iraq’s Yazidi religious minority, broadcast the murder of captured western journalists and aid workers, and launched a campaign of terror against any local tribes that dare to oppose its rule. Now the target of a sustained campaign of American airstrikes, ISIS has previously declared the establishment of a caliphate, underscoring its ambition to become a permanent feature on the map of the Middle East. ISIS wouldn’t have been able to carve out such a vast domain, or present itself as a state-like entity capable of controlling territory and ruling over a population of millions, if it hadn’t been armed to the hilt, partly from its seizure of military equipment from fleeing Iraqi soldiers and plundered Syrian military bases. When ISIS overran Mosul, Iraq’s second-largest city, in June, it captured weaponry that allowed the group to arm itself like a conventional army. “You lost approximately three divisions worth of equipment and probably at least three depots in that area,” Anthony Cordesman, a security analyst at the Washington-based Center for Strategic and International Studies, told The Wall Street Journal. More recently, ISIS captured anti-aircraft weaponry from an air force base in eastern Syria, including rockets capable of bringing down planes flying at 16,000 feet. Although US airstrikes have targeted the group throughout both Iraq and Syria, the jihadists are continuing to expand throughout Anbar province right up to the border with Baghdad. 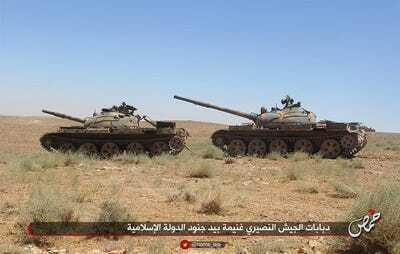 It is estimated that ISIS has about 30 T-55 tanks, although it is unknown how well the organisation can maintain and operate them. The T-55 tank series is a Soviet tank line that was produced from the end of World War II through the 1980s. Despite the tanks' age, they remain operational in up to 50 armies around the world. 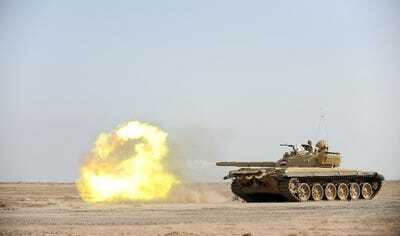 The tanks feature heavy armour, along with a 100-mm rifled gun and a secondary 7.62-mm machine gun. 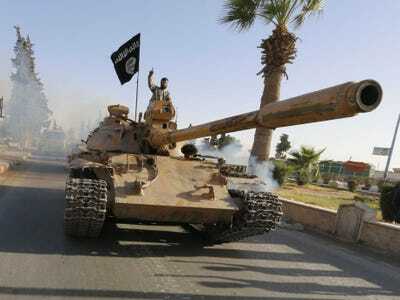 ISIS has an estimated 15 T-62 model tanks. The T-62 was the main Soviet battle tank that was developed to replace the T-55. 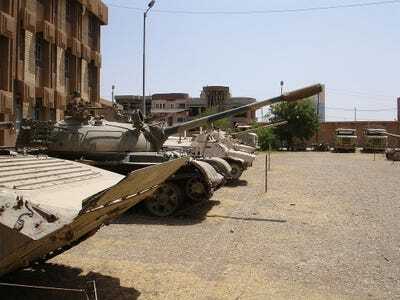 This tank was used extensively by the Iraqis to considerable success during the Iran-Iraq war. The T-62 is heavily armoured, and is armed with a 115mm tank gun along with two secondary machine guns. The militants have an estimated five to 10 T-72 tanks, although it is unknown whether they will be able to keep the vehicles in working order. The T-72 tank is the second-generation Soviet battle tank. These tanks first entered production in 1971, and they are still rolling off the assembly line. The T-72 is heavily armoured and features a 125-mm main gun. It is also armed with a secondary machine gun and an antiaircraft gun. 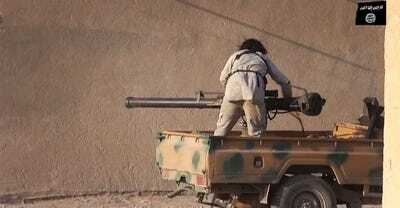 The jihadists have captured an estimated six of these armoured vehicles. The BRDM-2 is an amphibious armoured patrol car that was first created by the Soviet Union in the 1960s. The BRDM-2 is operated by a crew of four. The vehicle has a 14.5 mm heavy machine gun main armament, along with a 7.62 mm secondary general-purpose machine gun. 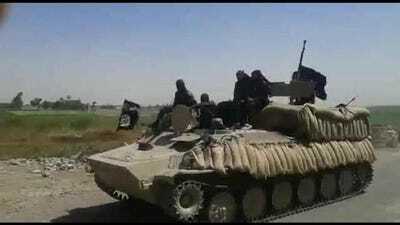 ISIS is believed to have two BRDM-2s, both of which were captured in Iraq. Like the BRDM-2, the MT-LB is a Soviet amphibious auxiliary armoured vehicle. The vehicle was first introduced in the late 1960s and is still operated today. In 2012, the Iraqi Army struck a deal with Bulgaria for the procurement of 500 MT-LBs. The MT-LB can fit 13 people. It's main armament is a 7.62 mm machine-gun. ISIS is believed to have 20 such infantry fighting vehicles in its arsenal. The BMP-1 is a Soviet amphibious tracked infantry fighting vehicle. Introduced into service in the late 1960s, the vehicle was firsy used in combat during the Yom Kippur War by Egypt and Syria against Israel. The BMP-1 can fit 8 passengers along with 3 crew members. 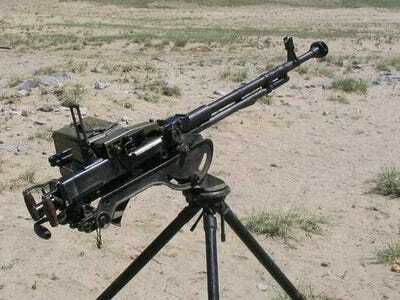 It it has a 73 mm semi-automatic gun along with a 7.62 mm secondary machine-gun. ISIS has an estimated three 2S1 Gvozdikas. First introduced into service in the early 1970s, the Gvozdika is a Soviet piece of self-propelled artillery. This makes the Gvozdika a highly manoeuvrable, and amphibious, piece of artillery that ISIS can bring to the front easily. The Gvozdika fires 122 mm shells at a semi-automatic pace. It has a conventional range of 9.5 miles. ISIS acquired a fleet of US-built Humvees when it stormed Mosul. The US had provided these same Humvees to the Iraqi Army. The vehicles allow for quick and effective movement across rough terrain. The Humvee's heavy armour also protects forces against small-arms fire as well as against collateral damage from indirect explosions. The vehicles offer little protection against land mines or buried IEDs. The B-10 recoilless rifle is an old Soviet weapon system first introduced into service in the 1950s. Although the weapon is now considered obsolete, it was used by a wide range of countries during the Cold War, including Syria and Iraq. ISIS likely stole the B-10 from various military bases in regions now under its control in both Iraq and Syria. 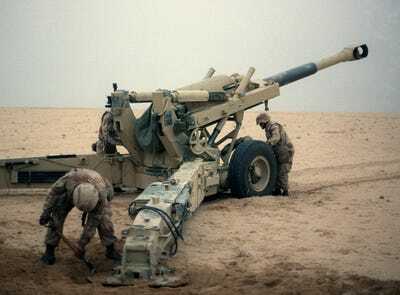 The recoilless rifle fires modified artillery shells that function well against tanks and other varieties of armoured vehicles. 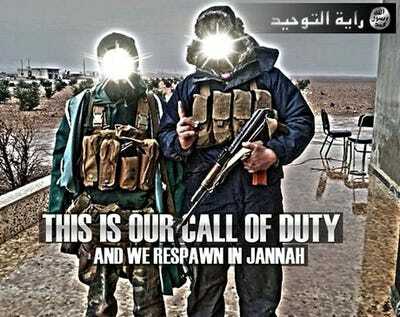 It is believed that ISIS only has one M40 recoilless rifle. 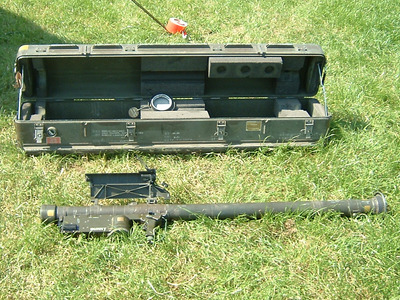 The M40 recoilless rifle is a lightweight anti-tank weapon that was made by the US. 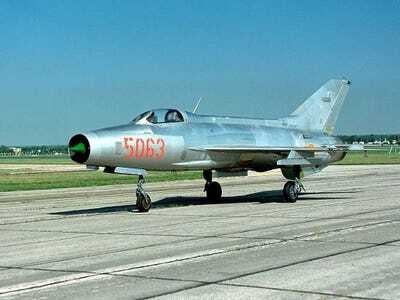 The weapon entered into service in the mid 1950s, and it quickly became used throughout the world. Although Syria and Iraq never purchased the weapons, the weapons fell into the hands of various rebel forces in Syria before ultimately being captured by ISIS forces. Investigative journalist Elliot Higgins (perhaps better known as Brown Moses) believes that these weapons originated in Croatia before being smuggled to Syrian rebels by Saudi Arabia. ISIS has used these rockets to devastating effect against the Iraqi Security Forces' armoured vehicles. 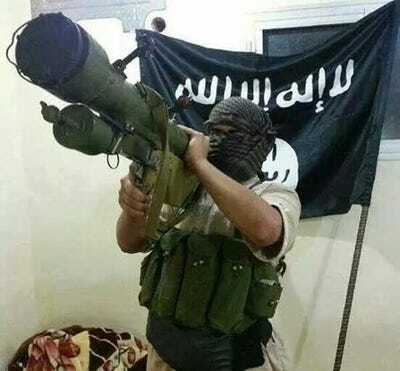 Photographs distributed by ISIS supporters and media show the group having access to three varieties of multiple rocket launchers: the 57mm UB-16, the 107mm Type 63, and the 122mm BM-21. These systems can fire multiple rockets per second at a range of approximately 13 miles. Both Iraq and Syria fielded these varieties of multiple rocket launchers, giving ISIS multiple opportunities to seize the weapon systems from a number of conquered military bases. 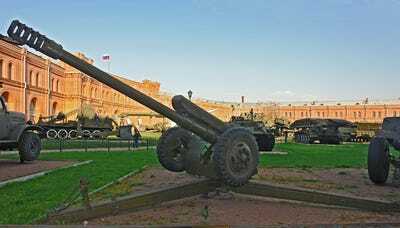 The D-30 Howitzer is Soviet artillery piece that was first created in the 1960s. 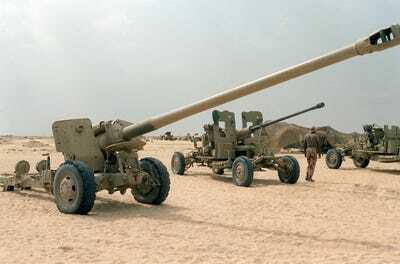 The D-30 must be towed between locations, and the barrel of the D-30 is used in the 2S1 Gvozdika self-propelled artillery (which ISIS also has). The weapon can fire a sustained five to six rounds per minute at an effectively firing range of approximately 10 miles. The ZU-23-2 can fire effectively at up to two miles, and it is designed to strike at low-flying targets as well as armoured vehicles. 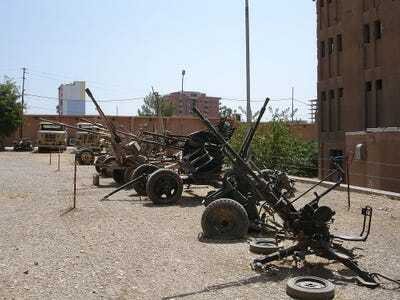 This weapon has been used heavily so far in the Syrian Civil War, and it is also in the arsenal of the Iraqi Army. 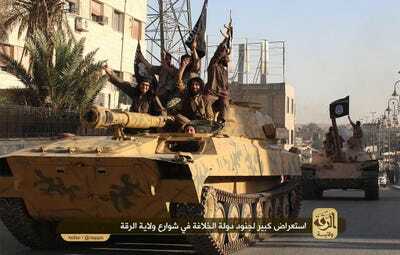 ISIS has also captured small numbers of 14.5mm KPV, 14.5mm ZPU2, 23mm ZU-23, 37mm Type 65, and 57mm AZP S-60 anti-aircraft guns from the Syrian and Iraqi militaries. 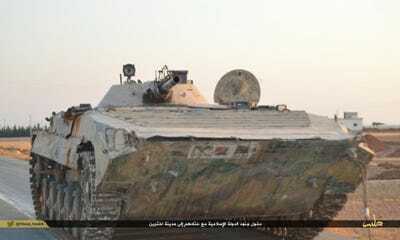 ISIS has at least two ZSU-23-4s in its arsenal. The ZSU-23-4 is a lightly armoured anti-aircraft system. The weapon is radar guided and is self-propelled, allowing for it to be easily transported between locations. 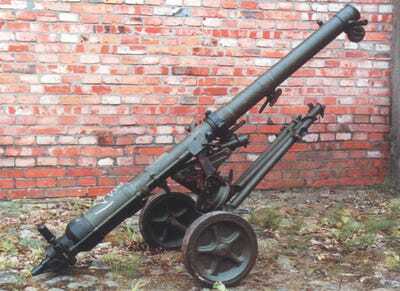 Although the ZSU was only produced into the 1980s, it continues to be used in various countries that had arms agreements with the Soviet Union. 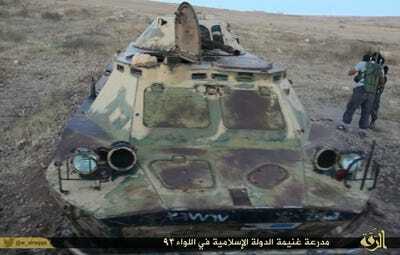 ISIS likely captured the ZSU's in their inventory from the Syrian military. FIM-92 Stingers require specialised maintenance and care. 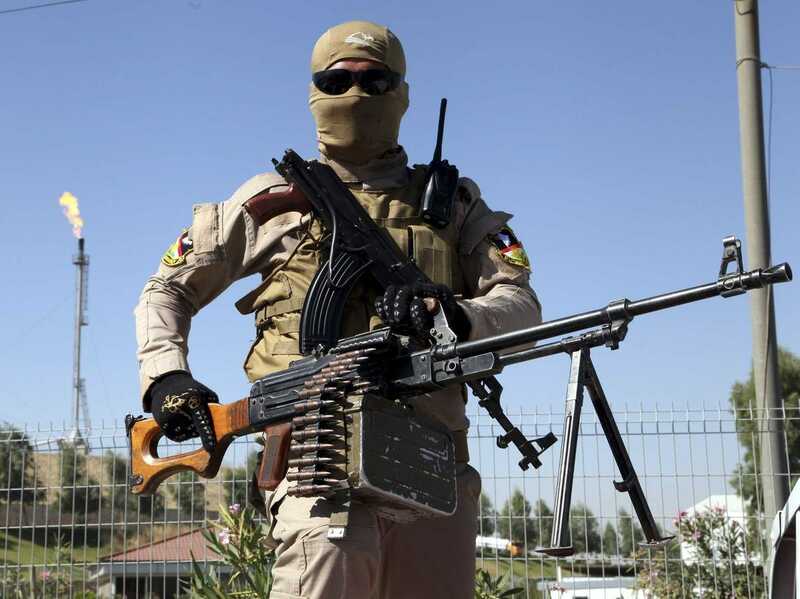 It is believed ISIS looted FIM-92s from Iraqi military bases. 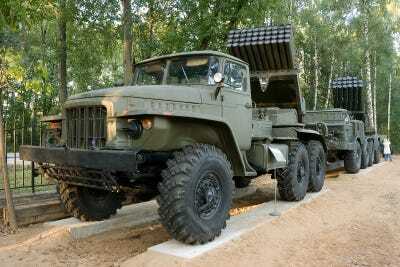 The Strela-2 is the first generation of Soviet shoulder-fired surface-to-air missile systems. First introduced in the late 1960s, the Strela-2 continues to be used in conflicts around the world where the Soviets once sold weapons. 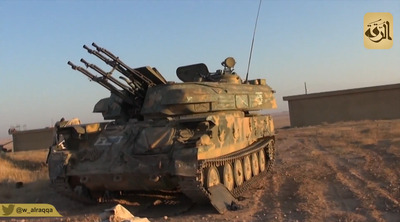 Both Iraq and Syria were operators of the Strela-2. As such, ISIS could have seized the weapon from either military during its conquest of enemy military bases. HJ-8s are highly effective against armour, bunkers, and fortifications. 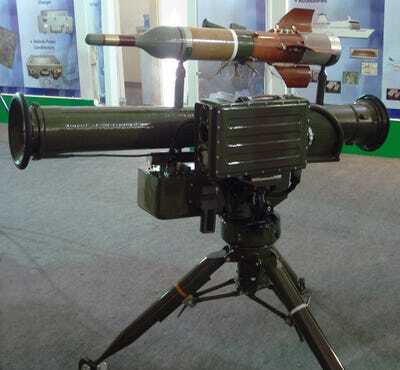 The Free Syrian Army has been using these missiles to great success against the Syrian Arab Army since June 2013, although now ISIS has managed to incorporate these weapons into its arsenal. ISIS has also incorporated 9M14m Malyutka-M, 9M111M Faktoriya, 9M113 Konkurs, 9K115-3 Metis-M, 9M133 Kornet, and I-RAAD anti-tank missiles into their inventory. 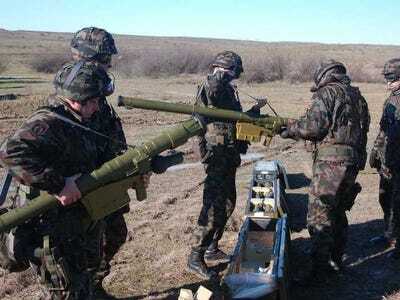 The DShK has several uses, including as an anti-aircraft weapon and heavy infantry support weapon. It can fire 600 rounds per minute. The weapon can be mounted on cars for easy use and manoeuvrability. 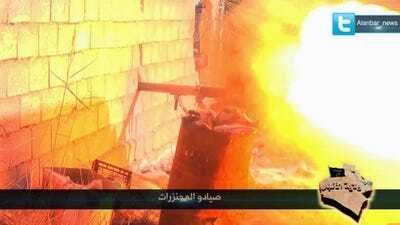 ISIS most likely stole these machine guns from either the Syrian or Iraqi armies. It is highly doubtful that ISIS has the capability of flying the MiGs it captured during the fight over Taqaba -- the planes may not even be airworthy. ISIS is armed for conventional warfare -- and has years of experience waging asymmetrical campaigns in both Syria and Iraq. With such an arsenal at the group's disposal, and without a military willing to take it on, ISIS rule could become a settled fact of life in the heart of the Middle East.